Toyota has released pictures and information for its S-FR entry-level sports car concept ahead of this month’s Tokyo Motor Show. 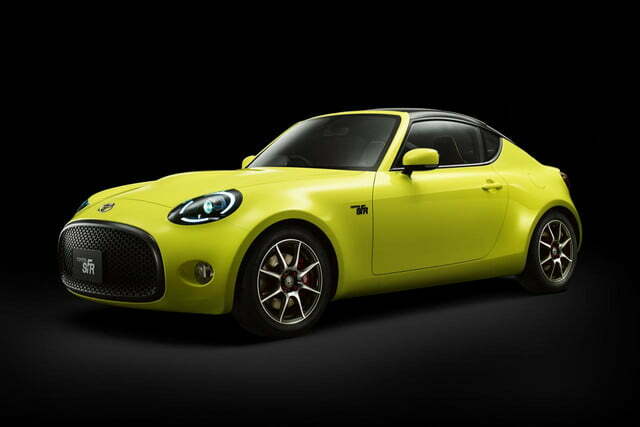 The Japanese automaker claims the S-FR’s purpose is to offer a “no frills” driving experience via a lightweight, compact package. The model is only 13 feet long, 5.5 feet wide, and 4.3 feet tall, giving it dimensions similar to the first generation Mazda Miata and recently introduced Honda S660 Roadster. Differing from the aforementioned sports cars is the S-FR’s seating configuration, which can accommodate four (obviously small) passengers. 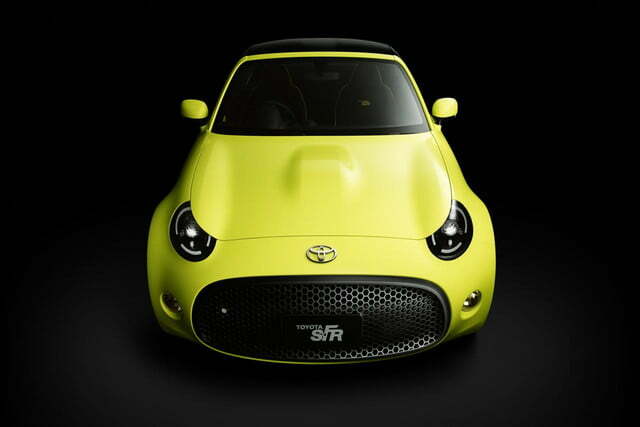 The S-FR’s design includes a rounded body, yellow exterior, black roof, wide-mouthed grille, and single exhaust port. “Adorable” seems to sum up its styling, even with its angry-eye headlights. Inside, the cabin is fairly bare-bones with a digital instrument cluster and a handful of buttons for climate control, engine ignition, and a USB port or two. Also visible is a six-speed manual gear knob. 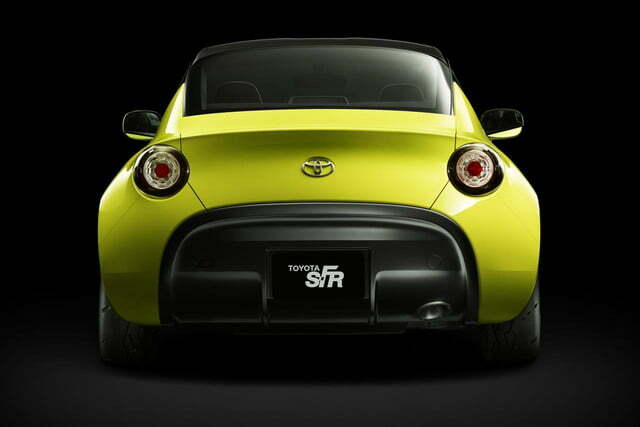 While Toyota hasn’t announced what powers the concept, the automaker does claim the S-FR provides smooth acceleration paired with excellent weight distribution and suspension tuning for agility and a responsive drive. 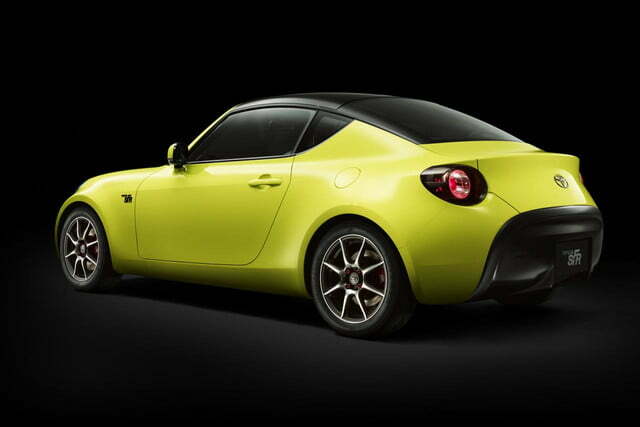 Toyota also says the S-FR is for owners who enjoy driving and customizing their vehicles. A previous rumor suggested a sub-GT86 model would be powered by a 1.5-liter four-cylinder making 130 hp, and would weigh less than 2200 pounds. If you’re confused about the naming, especially relative to Scion’s FR-S, we can’t provide further clarification, but there’s a good chance the S-FR will be a Japanese market vehicle (at least initially) like Honda’s S660, so you won’t see an FR-S and S-FR next to one another at a stoplight anytime soon. If Toyota does give the concept a greenlight for production, it would go on sale sometime in 2018.